Ono Ha Itto Ryu is a classical Japanese school of kenjutsu (odachi, kodachi, habiki) and was founded by Ono Jirouemon Tadaaki who inherited the school from Ito Ittosai Kagehisa (Itto ryu). Ono Tadaaki was the kenjutsu instructor of the Tokugawa shogun. Ono Ha Itto-Ryu is one of the oldest branches of the Itto-Ryu style and was founded by Ono Jiroemon Tadaaki, the immediate successor of Ittosai Kagehisa. Ittosai was the founder of Itto-Ryu. When the time came that a successor had to be named, Ittosai had Ono Jiroemon Tadaaki fight another student named Zenki. The winner of the duel would become the Itto-Ryu successor. Ittosai Kagehisa was first known as a boy named Yagoro who lived in a seaside village named Ito. The reasons on how he got there still remains unclear but due to him being an outsider, the people learned to trust him after he managed to save the village from six bandits. The villagers helped and urged him to seek a master after they learned of his desire to become a great swordsman. For this cause, he went to pray at the Hachiman Jingu in Kamakura where he was attacked by an unknown person, which he was able to flawlessly and thoughtlessly cut down in one stroke. It was after this incident that he changed his name to Ito Ittosai Kagehisa. This would lay the foundation for his principles of the Itto-Ryu style, as “itto” means “one sword/stroke”, thus translating to “One Stroke Style” referring to being able to defeat the opponent in one stroke. Ono Ha Itto-Ryu has 150 techniques as well as the most practical philosophy as compared to other major sword styles. 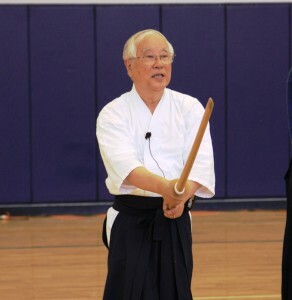 While the other styles may put emphasis on religious and spiritual enrichment and meanings to swordsmanship, Ono Ha Itto-Ryu concentrates more on weilding the sword itself. It prefers to focus and adhere to the idea, possibility and techniques that allow a person to cut down his opponent in a single strike. Although the Ono Ha Itto-Ryu was said to have been influenced by Zen as a result of Ono Tadaaki’s association with a priest Soho Takuan, the single strike principle remains to be a core value and is continued to be practiced by the style to this day. We practice Ono Ha Itto Ryu Kenjutsu as members of the KNBK/JKI under the authority of Sasamori Takemi Soke, 17th headmaster of Ono Ha Itto Ryu.